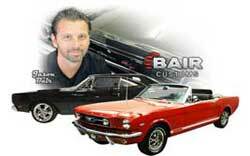 At Bair Customs, Inc/Big Hemi, Inc. we are committed to providing the highest quality build/restoration of your performance automobile. 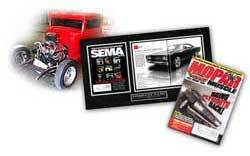 Our cars are seen in magazines, on television, and winning top honors at national events and car shows. Attention to detail and high quality is our main focus. We document every step of the build/restoration process with digital pictures and detailed notes, and provide our customers with a restoration summary at the completion of each project. 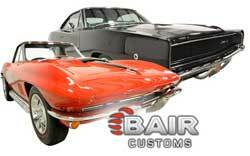 Outsourcing is only done in certain areas of the car restoration process. We only outsource to the best craftsmen in the business. At this level we utilize our most select services, products, and craftsmen to assure that the most thoroughly restored and protected vehicle possible is achieved. Do it right the first time. We spend as much time and resources as necessary to make certain all parts of the car function and appear perfect. A quality check is constantly being performed and done in depth after each restoration phase. Vehicles restored at this level stand out in shows as high quality vehicles but resources spent on certain areas would be minimized depending on your specific goals and expectations. If you plan on driving your vehicle some what guilt-free, you may not want it to be perfect in all respects. Please read policies on invoicing and billing for car builds/restorations. It is impossible to estimate the exact cost of a build/restoration at the beginning of a job. A general figure, a high and low, can be given based on previous jobs. To get started, we will need a deposit to begin the build/restoration process. Billing is done on a periodic basis for all parts, labor and services rendered. An invoice listing all fees and costs will be emailed after the completion of parts ordered or labor performed. Photographs and videos will be emailed and added to our web page to reflect progress of the car and its components. Invoices should be paid 30 days after billing date. Invoices may be paid in US funds by personal check, certified funds, wire transfers or cash. Each customer is required to provide their own insurance to cover the market value of the car. If the vehicle is purchased through Bair Customs, Inc./Big Hemi, Inc., insurance will be provided.